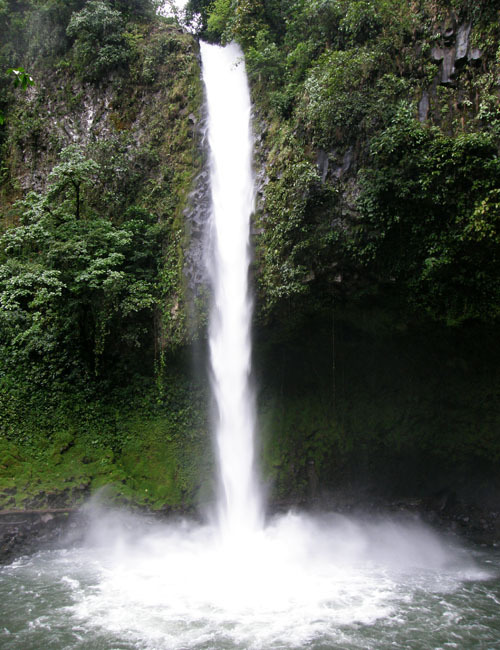 Whilst in La Fortuna we decided to go and visit the waterfall of Rio la Fortuna, located a few kilometers from town. 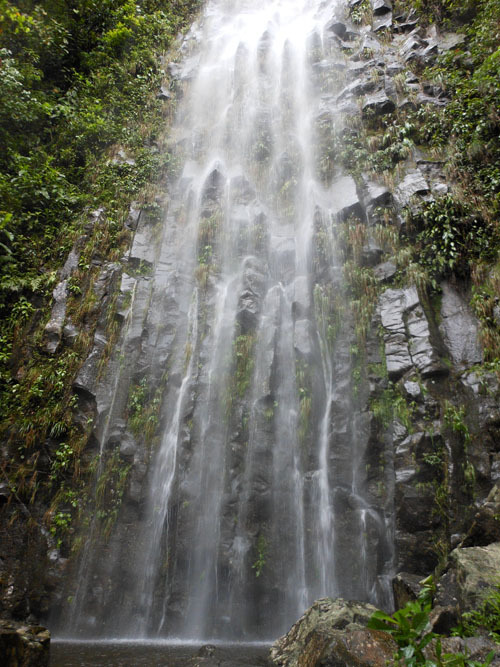 We had wanted to go and see the waterfall in Rio Celeste, a 3 hour trek in Tenorio national park, but with the continuous bad weather we didn’t want to get caught out again following our luck with the hike to Cerro Chato. 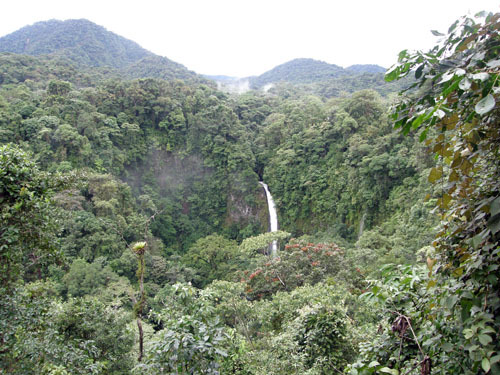 So off we went to see the waterfall of La Fortuna, located at the end of an unpaved road which leads to both the waterfall and the entrance to the Cerro Chato hike. We parked and paid $10 per person to get in, its worth noting that if you pay in local currency you seem to pay just under the 10,000 colones which I expected to pay. This has happened several times so if you want to save yourself the odd 100 colones per entrance pay in local currency. Once in you cross a bridge and then head down a steep set of stairs all the way down to the bottom where the river is. At the start of the path, you can take a turn on the right and head for the viewing point, where the waterfall can be seen from a distance. On the way down you have the option to come off the path and see a smaller waterfall with a pool of water in front where you can get right up to the water coming down the rocks. When you are nearly at the bottom you reach a viewing platform for the impressive waterfall which thunders down into the river. 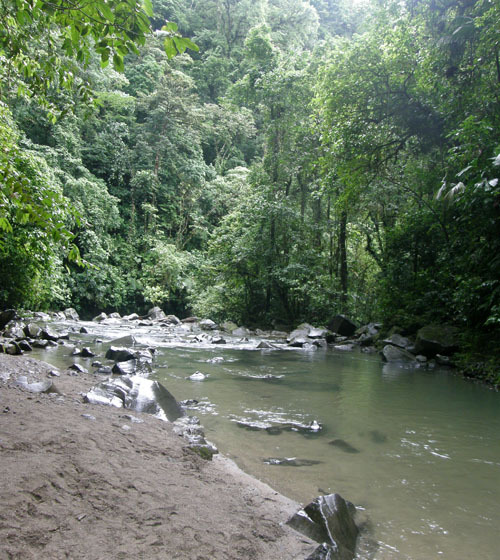 If you continue to the bottom, a further few minutes walk you get to the actual river with a small beach like area to relax in. The water here is not very deep and nor is it warm but if you come down on a hot day I am sure the cool water would be a nice refreshment before you have to climb all the way back up!